Have an OLDER VERSION of Out’n About? 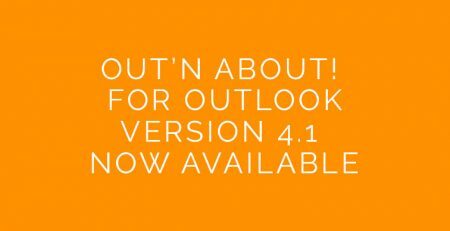 Version 4.1 of the Outlook client has been released on March 27, 2017. 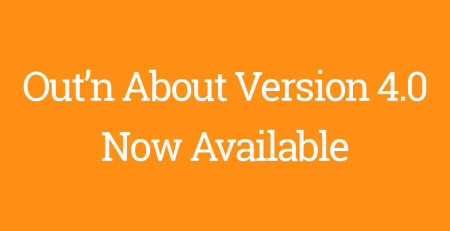 Adds new features, bug fixes, and more. For notifications of updates, just add your email to the release notification list. Use the following links to update your version of Out’n About! for Outlook (supports both Outlook 32bit and 64bit). After downloading Out’n About! to your PC, follow the Out’n About! installation instructions in the Out’n About! for Outlook Administrators Guide. If you wish to use Active Directory/Group Policy Objects deployment for the Out’n About! 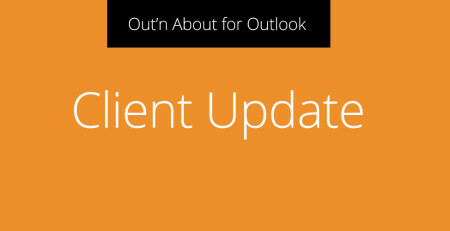 for Outlook Client a MSI download is also available. Use the following link to update Out’n About! for Windows. After downloading Out’n About! to your PC, follow the Out’n About! for Windows Installation Instructions. Get notified of Out'n About product updates.